Market Rasen Town have a chance to pull away from the foot of the Lincolnshire Football League this weekend. Second-bottom Rasen, who were without a fixture last weekend, travel to basement side Ruston Sports on Saturday (kick-off 3pm) knowing victory would extend the gap between the sides to six points. 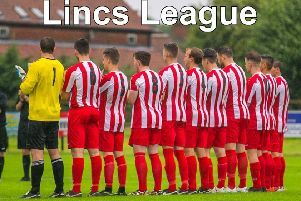 Elsewhere on Saturday, sixth-placed Brigg Town Reserves host title-challenging Skegness Town (kick-off 3pm) and then entertain CGB Humbertherm next Wednesday evening under the floodlights (kick-off 7.45pm).